Skidding techniques have been used for centuries to aid in the movement, of otherwise, immoveable loads. Today, Hydraulic Skidding Systems have been developed and are suited to applications where space is confined. Their most frequent applications are moving and positioning industrial equipment, transformers and production machines. With an electrically operated hydraulic aggregate, the system can be used in enclosed spaces where a crane or fork lift is unable to reach. Complete with easily fitted tracks and beams, Holmatro’s Skidding System is supplied with special low friction PTEF sliding pads, which allow the beams to glide more easily. The heavy load is placed on the beams which are secured to the push-pull units. The system is then able to push and pull heavy loads in a controlled manner over the tracks. 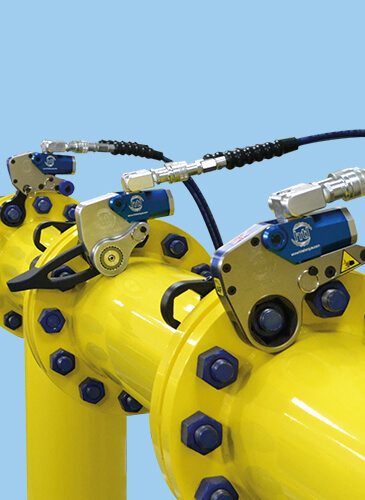 Changing to the opposite direction is achieved smoothly and easily as the double acting cylinders attached to the push-pull units are connected to a hydraulic pump with hoses, which has two identical flows (oil output) for a synchronized operation. How does Holmatro’s Skidding System work? Skid systems are a simple and effective tool for moving heavy loads horizontally. The load, whether it is a transformer, heat exchanger or other heavy commodity, sits on a guided track. The load is then pushed along by the double acting hydraulic cylinders. 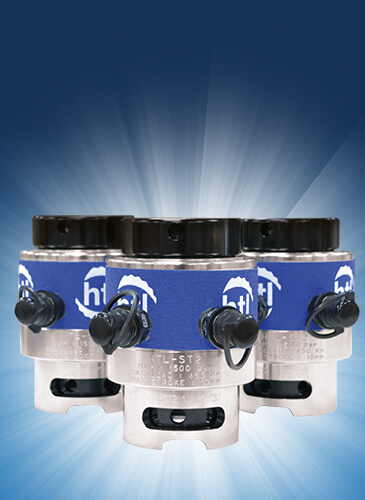 The tracks have a “ratchet” design, so when the cylinders are retracted they will automatically reset into the next position ready for the next push cycle. The Holmatro Skidding System tracks are bi-directional and can move the load in either direction. The cylinder assemblies will push or pull the full load capacity and the direction can be reversed by simply using the remote control. What makes Holmatro’s Skidding System different? Holmatro’s Skidding System is designed and engineered for function and convenience. Through experience in the field they have perfected the tried and true method of skidding loads by designing a simple, effective and easy to use system that can be adapted to suit any application. 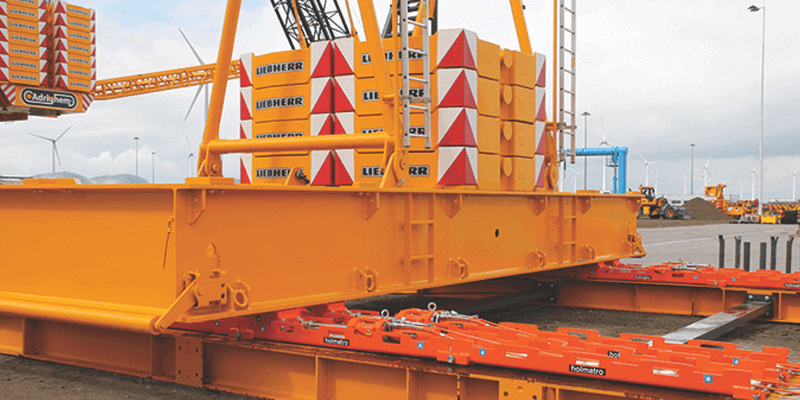 Holmatro’s Skidding System is one of the safest methods for moving heavy loads horizontally. The tracks are very low profile keeping the load close to the ground and moving along a guided path. When used as intended, they don’t require any winches, holdback or other external force/restraint of any kind. They are controlled by a single operator and there is no need for any personnel to be close to the load whilst it is moving and no risk of operator fatigue. 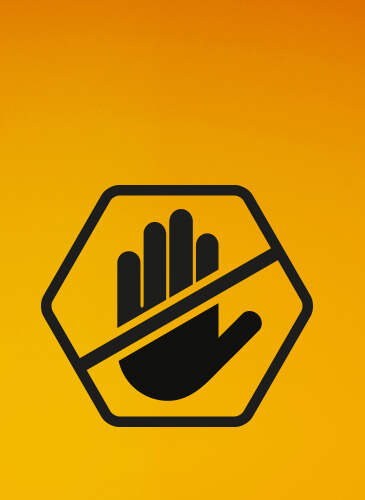 Designed based on high friction values, the safety of the move is increased by virtually eliminating any risk of uncontrolled movement or runaway. Holmatro’s configurable Skidding System is suitable for moving industrial objects of exceptional sizes and weights to locations where using a crane or forklift is not an option. To get an instant quote or more information contact us: call +44(0)1670 700 000 or email info@htlgroup.com.